I loved the make up look that Peter Phillips created for Chanel Fall/Winter 2010 RTW. His focus was to recreate the paint/print texture that was seen on Karl Lagerfield's handbags and shoes. 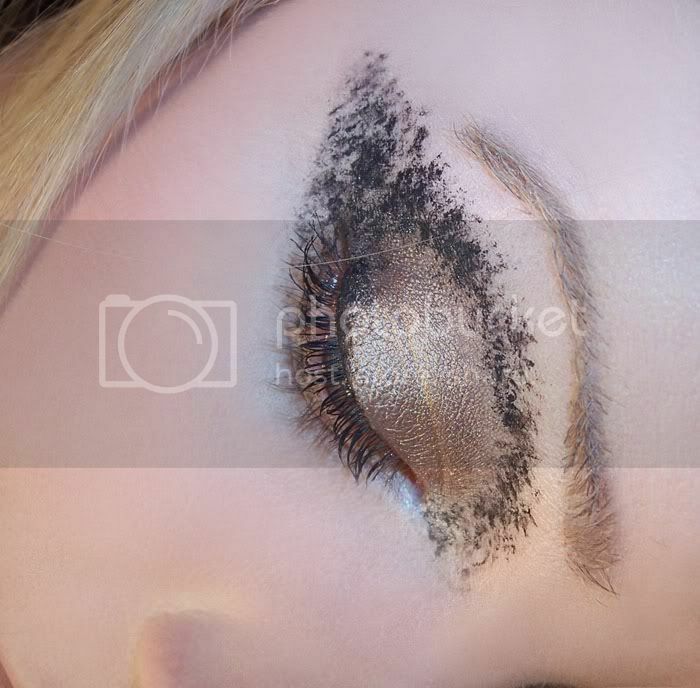 Not a wearable look by any means, but it could be a fun way to make something out of those smudgy mascara mishaps! I used a small spoolie from CROWN Brush (mascara wand would work too), dipped in to MAC Blacktrack Fluidline. Starting from the outter edge where the print is heaviest and worked my way back and forth around the lid shadow to the inner corner.